Time for the next Card Concept Challenge! Let's go floral! Very pretty inspiration photo - lots of circular blooms with lots of layers. To interpret this photo into Clean and Graphic, I cut down to one flower, punched up the colours to achieve high contrast and used basic, simple shapes from Retro Mod Shapes, from Stamplorations. I added a sentiment in text that has a similar weight as the flower shapes, and then to ground the whole thing, I used two score lines (the top one is interrupted where the 'y' drops down). Now it's your turn - are you finding your style? I can say that having to explain why my cards are Clean and Graphic has definitely made me think a lot more about the differences between the various 'Clean' styles we have. It's still difficult sometimes to determine exactly where each card fits, though, isn't it? But don't let that keep you from trying - we love beautiful cards in ALL styles! I love the bold color combo and graphic flowers! Stunning card, Ardyth! 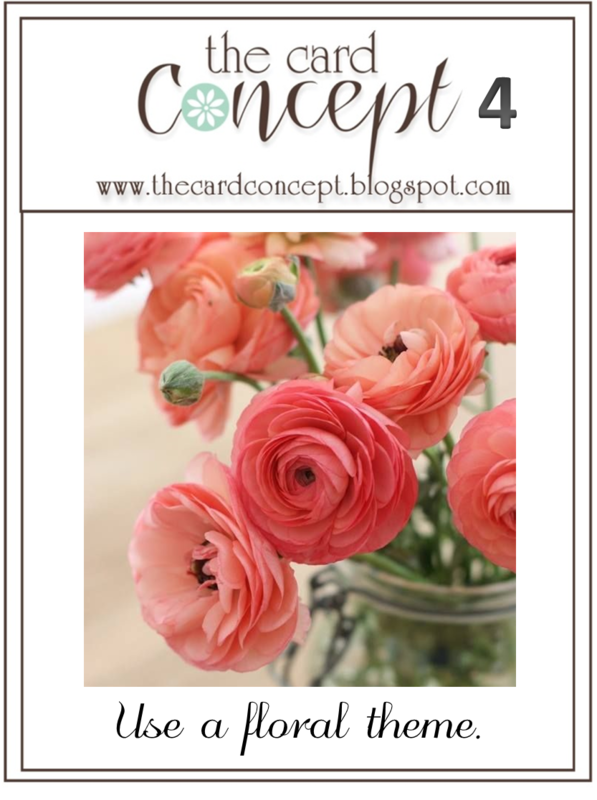 Love the graphic flower design you came up with , from the inspiration photo…. I find that very hard to do. Love the stylised flower, and the chunky sentiment is the perfect pairing. Great CAS card, Ardyth! PS--do you know why Jackie Rockwell's blog is not accessible? You rocked another C & G card pal! 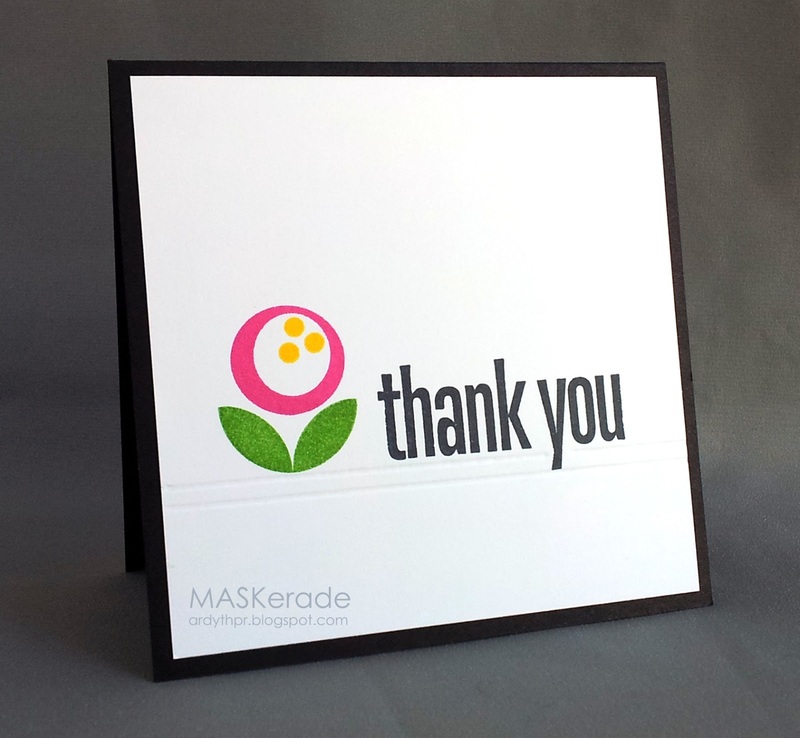 The scored lines really add to the graphic feel of your card & also anchor that sweet flower and cool sentiment! You're the best!!! This is fantastic, I love that flower! Just love this flower! And the card is so elegant! Great use of this stamp set! I love the stylish, graphic look. Love it, may have to play today, so many cards, so little time!!! This is one adorable little flower! Love it. You've always got a little trick to your cards. Love the two score lines perfectly lined up with your font lines.